Why Choose the Victoria 3 Seater Sofa Set? Whether you're having friends over for a party, having a barbecue with family or just enjoying in the sunshine, the Victoria 3 Seater Sofa Set from Maze Rattan Furniture will allow you to relax in the utmost comfort this summer. 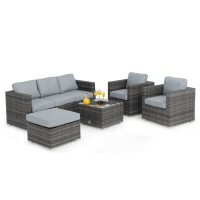 The Victoria 3 seater sofa set is designed to be a versatile collection that can be configured to meet your needs. The set includes a 3 seater sofa, our clever coffee table with hollow area for magazines and books and two arm chairs that perfectly complement the other pieces. 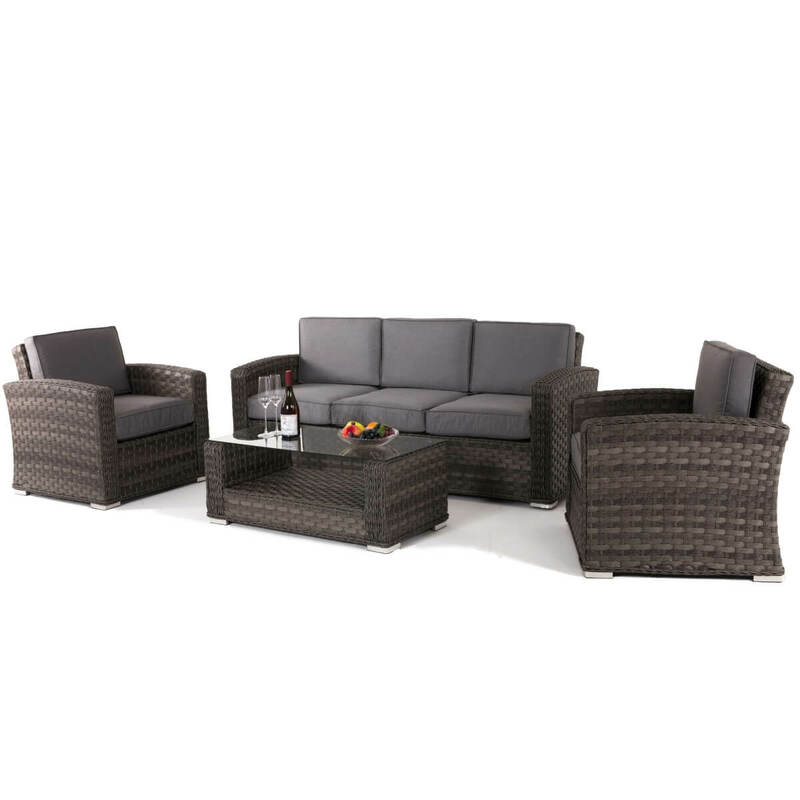 The Victoria rattan range elegantly combines a flatter weave to give side panels and surfaces a smooth finish, with a more robust round weave for edges. The weave is a multi-tonal smoke and charcoal colour, resulting in its own unique style. The deeper cushions on the lounge products invite you to sit back and relax down into pure luxury. All our cushions come with removable covers that can be wiped clean, although it is recommended to store them inside overnight. 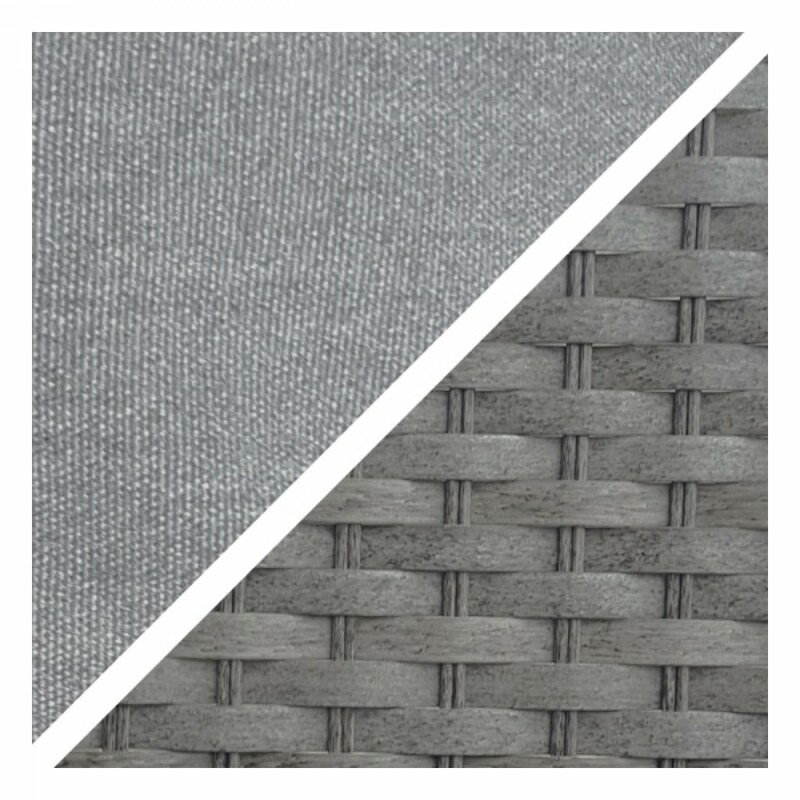 As with all Maze Rattan products, The Victoria Rattan Range is made from the highest quality material, woven onto a powder coated aluminium frame that ensures its use all year – even through the harshest weather.